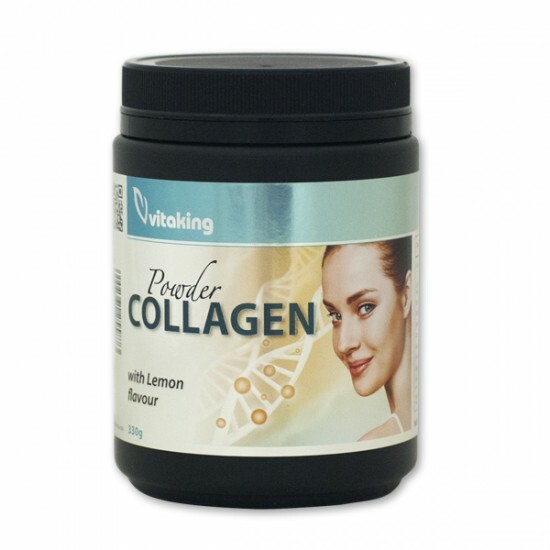 »Powder Collagen With Lemon Flavour« does not contain added sugar and artificial sweeteners. Its sweet taste is derived from a natural stevia extract. Collagen is a naturally occurring protein, the most common protein in the animal world. 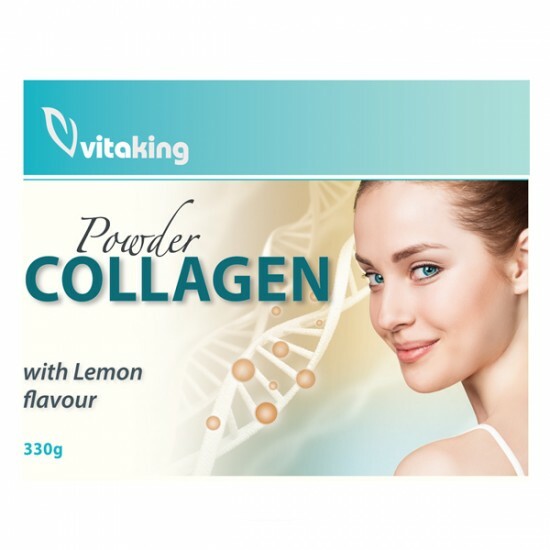 Powder Collagen With Lemon Flavour contains Peptan Ⓡ collagen (bovine collagen) as well as significant amounts of vitamin C (500mg per dose) and zinc (15mg per dose). A delicious, lemon flavored product with a stevia. Collagen is the most important building block in the body and accounts for about 30% of the protein in our body. Collagen is the most important structural protein which is a component of all connective tissues, including skin, tendons, ligaments, cartilage and bones. Recommended daily volume: 11 g (1 honeycomb scoop) once a day, dissolved in water for 3 months and then 11 g of food per week. Warning: Do not exceed the amount specified in the application. The product is not a substitute for a mixed diet and a healthy lifestyle. Keep this box out of the reach of children. Information: Milk, egg, gluten, soy, peanuts, hazelnuts, fish and crustaceans were made in processing plants. Daily dietary supplement pack for athletes and persons performing strenuous physical activity.The 60 packets of this daily dietary supplement cont.. The Fin Flexigel is a highly absorbable colloidal solution, which is the main component of Clatech®, enzymatically hydrolysed collagen. 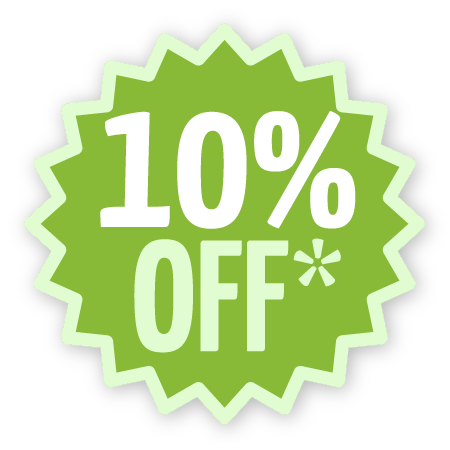 The collagen i..
Vitamin B12 is water-soluble vitamin and the body needs be supplied with it each day in a form of food or dietary supplement.Recommended dietary allow..
Maca root as multivitamin Maca is rich in nutrients and vitalizing agents. It is widely believed that one of the best natural supplements in the..
Selenium is a trace mineral that is essential to good health but required only in small amounts. The standard diet is very low in selenium. The b..